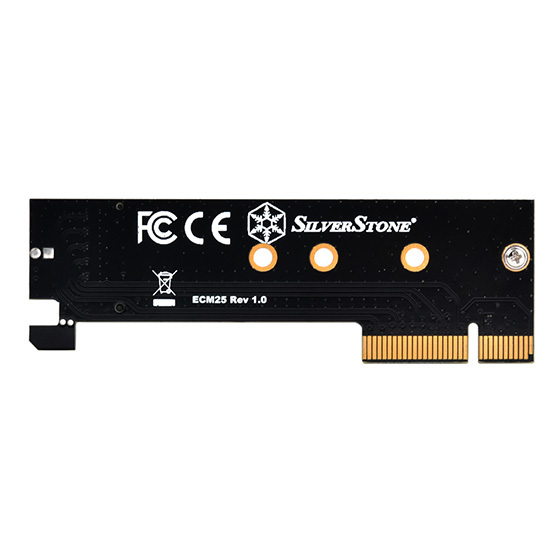 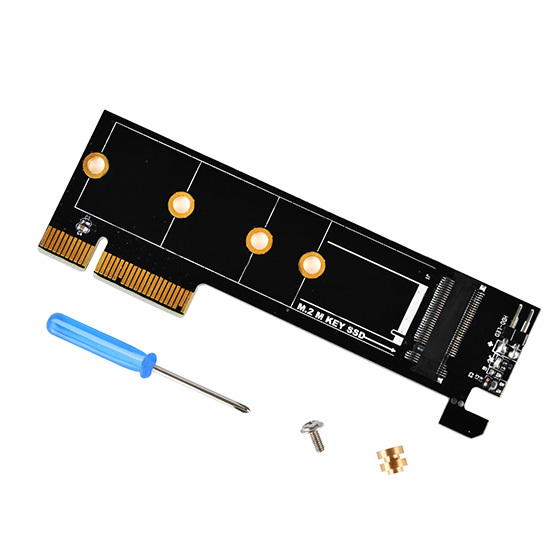 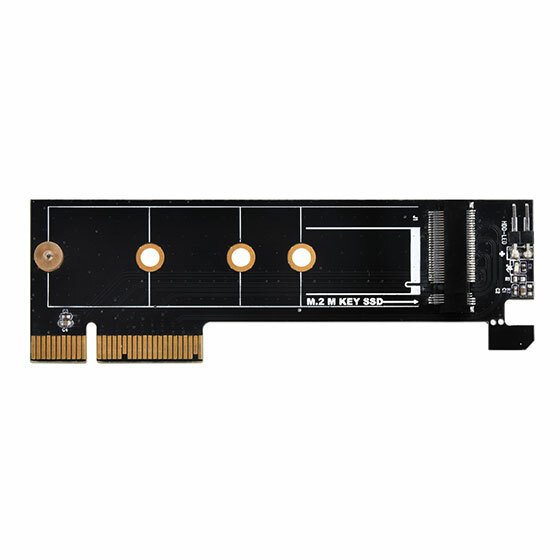 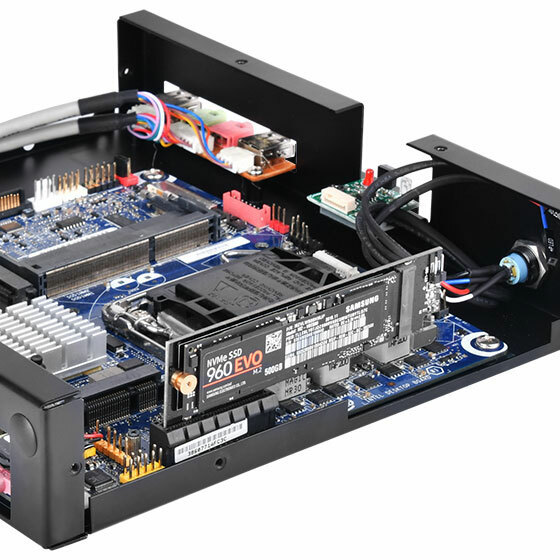 SilverStone’s ECM25 is an 1U adapter card designed for users wanting to utilize or add speedy M.2 devices such as SSD onto their existing PC or motherboard. 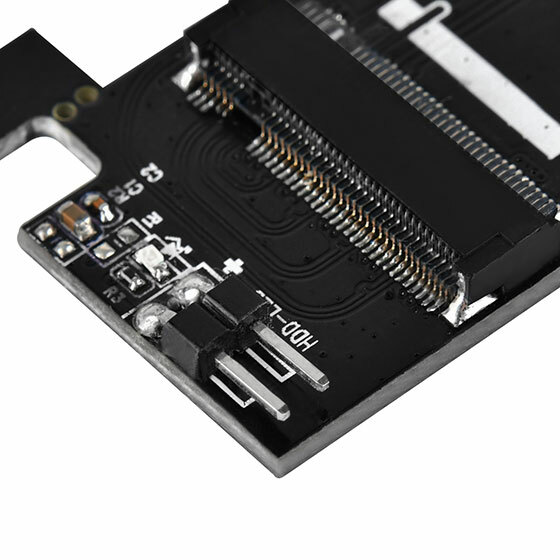 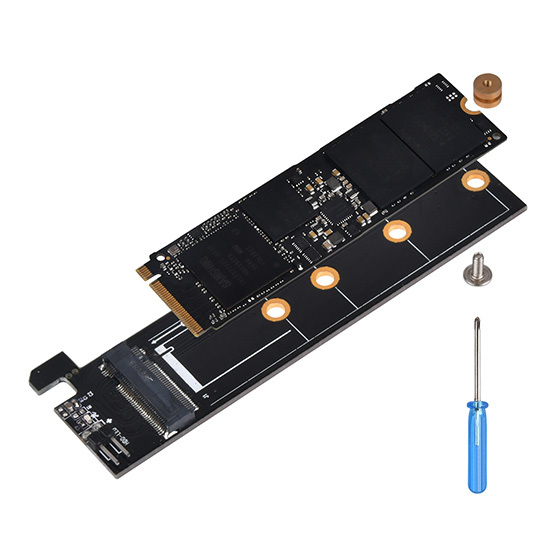 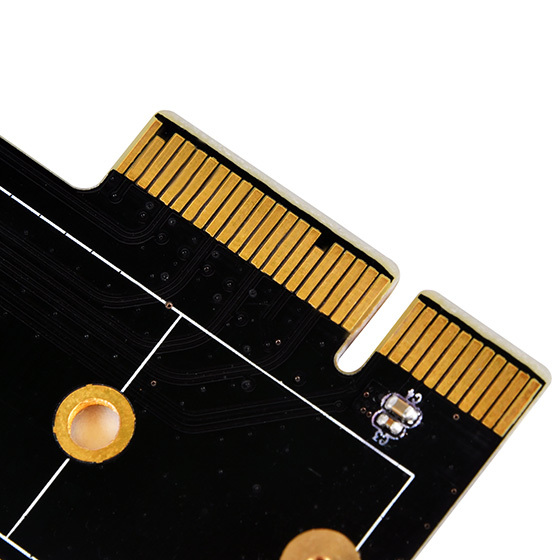 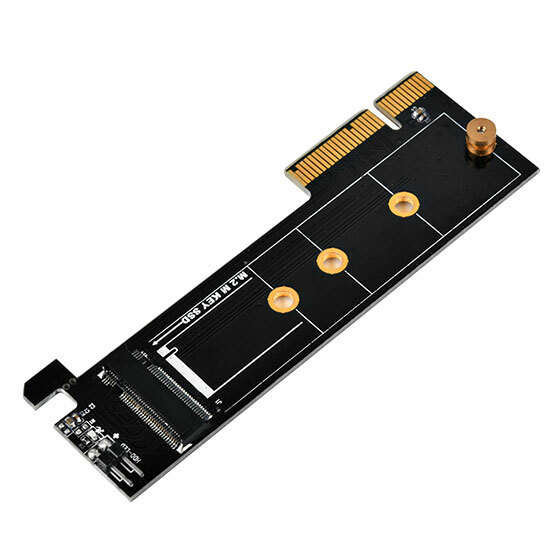 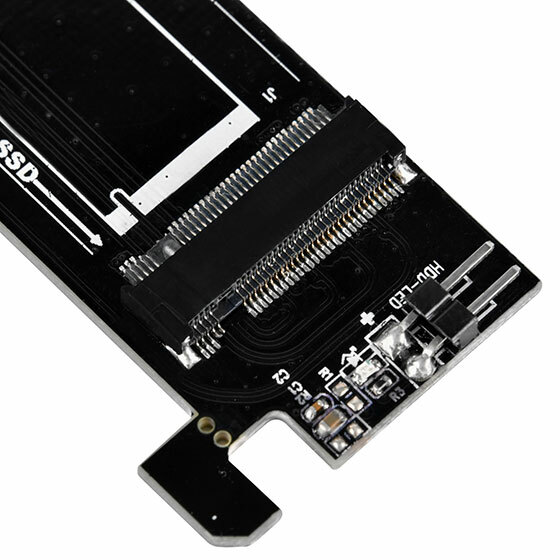 ECM25 supports M.2 device (M key) to run via the super fast PCIe interface for added storage potential. 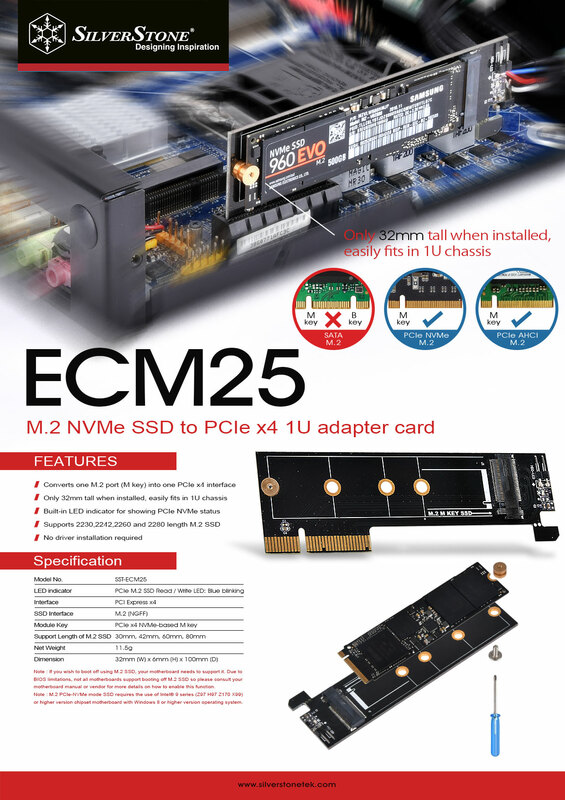 For users looking to expand their M.2 capacity with fastest interface possible in low profile format, the ECM25 is a must have.